Taking the concept of a fun family picnic replete with entertainment, experiential learning for kids and a choice of great food to indulge in, boutique experiential agency Pilcrow hosted the 3rd edition of award winning event ‘Kids Culinaire’ on February 18th and 19th at PSOI Gardern, Nehru Park, New Delhi. In a short three years Kids Culinaire has picked up a lot of traction that reflected in the sizeable footfall drawn in by the range of activities that kept both children and adults engaged. The event was positioned as a kid’s food festival and featured close to twenty food stalls and trucks offering a variety of cuisines keeping in mind all age groups. However food was not the main attraction here. The major allure for kids were the numerous activity hubs spread across the venue. Food was simply the incentive for adults to keep up with their kids. Keeping a firm focus on experiential learning, zones were created where children could practically learn about harvesting and nutrition. 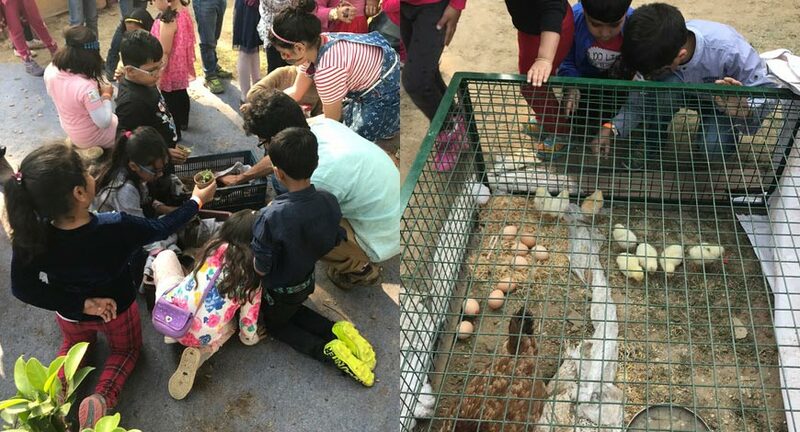 There was a petting zoo with baby goats, calves, chicks and a rooster where kids could learn about dairy farming, animal husbandry and also how to milk a cow! Live cooking stations were equipped for young undiscovered chefs to learn the nuances of cookery led by celebrity chef Saransh Goila. Dettol had setup a hand wash booth to inculcate healthy hand washing habits among children at play. There was face painting, pottery, jewelry making, live storytellers, swings, slides and lots of games. Children were incentivized further by being given a checklist that they had to get stamped after successfully completing each activity and winning prizes in return. With the advent of technology, nuclear families and longer working hours for parents the concept of picnics and outdoor fun is slowly fading away. The concept of this family friendly event focused primarily at children has proven to be a great success in engaging kids through play and bringing out the child in adults in the bargain. The two-day eventful ‘picnic’ was sponsored by McVitie's, a fitting brand association for a kid-centric event that promotes healthy and wholesome food habits. 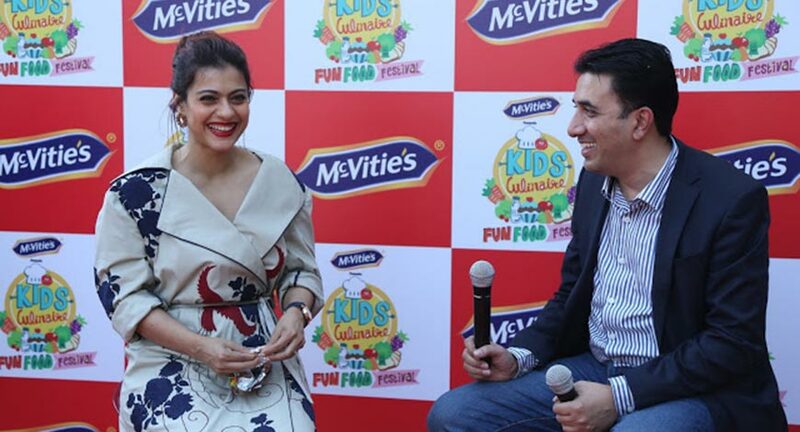 Actress Kajol Devgan, brand ambassador of McVitie’s also attended the event on day 1 of the event. Accompanied on stage by jungle book characters she spoke to the children about the importance of a balanced diet and making healthy eating choices. 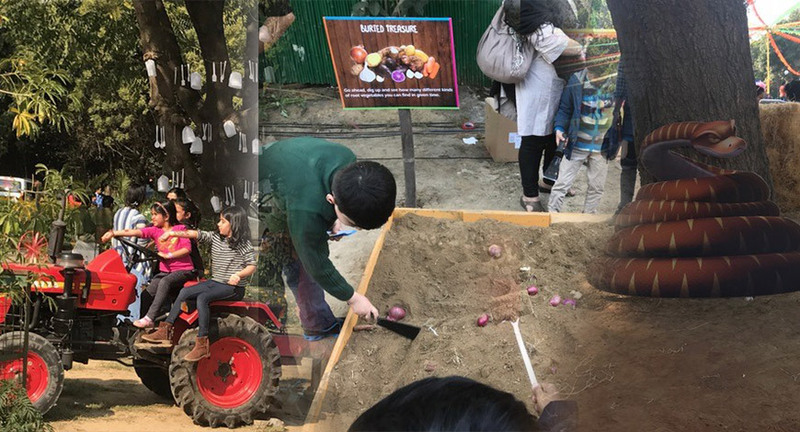 Ratika Van Noord Bhatnagar, Director, Pilcrow Communications found the inspiration for Kid’s Culinaire after the birth of her two children and realizing the lack of children friendly events and the need for experiential learning among kids. Shortly after, Bhatnagar along with her partner Rohini Mathur launched Kids Culinaire, an IP that has recently been awarded Gold for the ‘Best New Intellectual Property’ at EEMAX Global Awards. Kids Culinaire will travel to Mumbai this year in April.